This Real Butterfly Wing Jewelry is made with the back wing side of Orange Tip Butterfly. Jewelry, crafted with excellence, these Butterfly Wing cuff-links are exactly the unique gift you have been searching for. Butterflies live a full life and die naturally on farms. Combined with the beauty of nature, turned into wearable art that doesn’t just look fabulous but also acts as a great conversation starter. The wings are preserved in 14mm glass tile to ensure long lasting durability so that you can touch them without worrying about breaking them. The Jewelry is not fragile despite its fragile appearance. Check out our most popular cuff-links that he will admire. 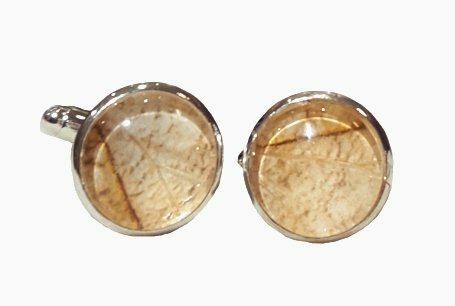 Want to see our best selling cuff links? 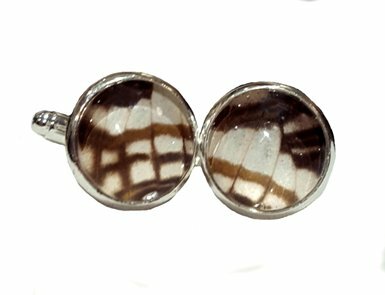 Click here to view our top selling cuff links.